Almost everyone has unwanted hair somewhere on their body. Unfortunately, traditional hair removal routines can be tedious, painful and expensive over time. Shaving may last a day, waxing a couple of weeks, but none of them last forever – and therein lies the true beauty of laser hair removal! Dr. Glenn DeBias and the professional staff at The Institute for Laser and Aesthetic Medicine have over 9 laser hair removal devices and have performed over 100,000 procedures to date. His aesthetic medical practice offers a wide array of state-of-the-art energy-based and skin laser treatments. The Institute uses the best hair removal devices that laser technology has to offer. Further, Dr. DeBias is an expert in the knowledge, training, and application of laser technology. Laser hair removal can remove unwanted hair faster and more effectively than traditional methods. Laser hair removal is a medical treatment that uses a laser – an intense, pulsating beam of light to remove unwanted hair. During your treatment, a laser beam passes through the skin to an individual hair follicle. 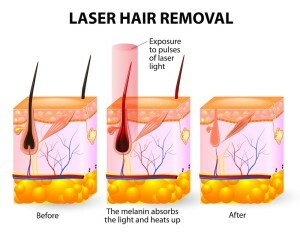 The intense heat of the laser damages the hair follicle, which inhibits future hair growth. 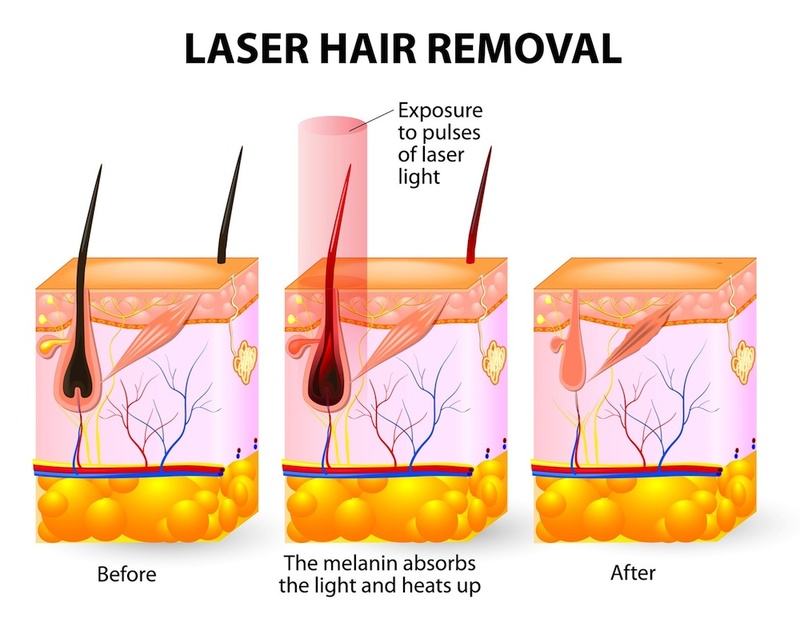 To eliminate hair, the laser emits gentle pulses of energy that pass through the skin to the hair follicle. This energy is then absorbed into the hair follicle to destroy it so that is unlikely to grow there again. What laser is best for hair removal? Dr. DeBias and his knowledgeable and well-trained staff will determine the best hair removal devices that reflect your specific needs and comfort level. How do I know if I’m a good candidate for the laser hair removal treatment? Laser hair removal can be applied to all areas of the body and on all types of skin (including tanned or dark skin). The laser treatment causes only minimal discomfort. Patients often say it feels similar to the snap of a rubber band. Slight redness or localized swelling can occasionally occur, but this usually subsides within the first 24 hours after treatment. Typically patients will see results in 4 – 6 treatments, though this number will vary based upon skin tone, hair color, and several other factors. Dr. DeBias will talk to you about variables that may affect your individual results. Dr. DeBias has been successfully performing laser removal procedures for decades in his continually evolving practice. In fact, Dr. DeBias was one of the first to utilize the phrase “laser and aesthetic medicine,” which is commonly used today.